Words and Photography by Kirsten and Ian Rossiter. 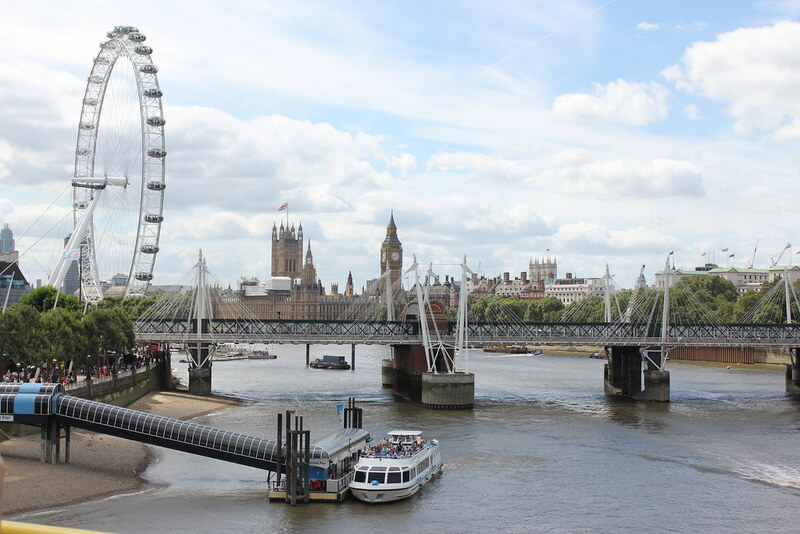 London is a melting pot of ancient history and modern attractions, from Westminster Abbey and the Tower of London dating back to 980 and 1078, to the Millennium Wheel opening to its first passenger in 2000. 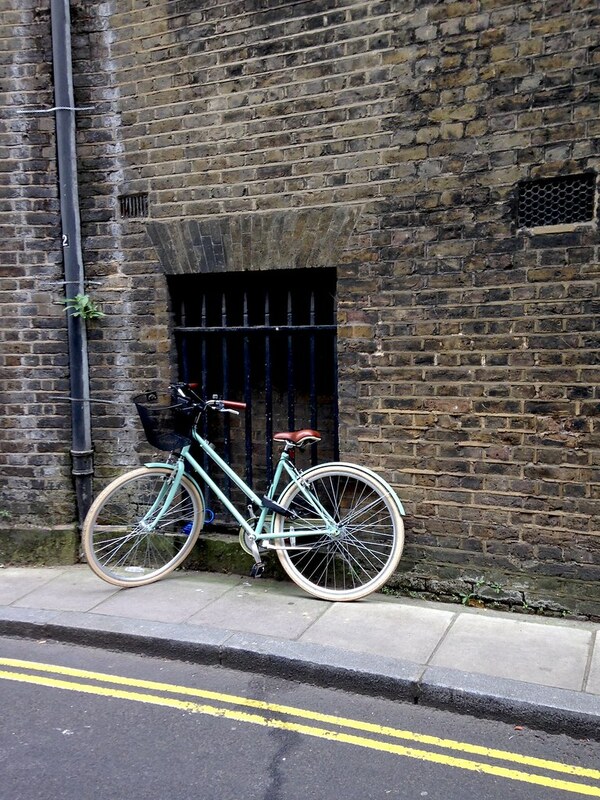 In London there is something for everyone. 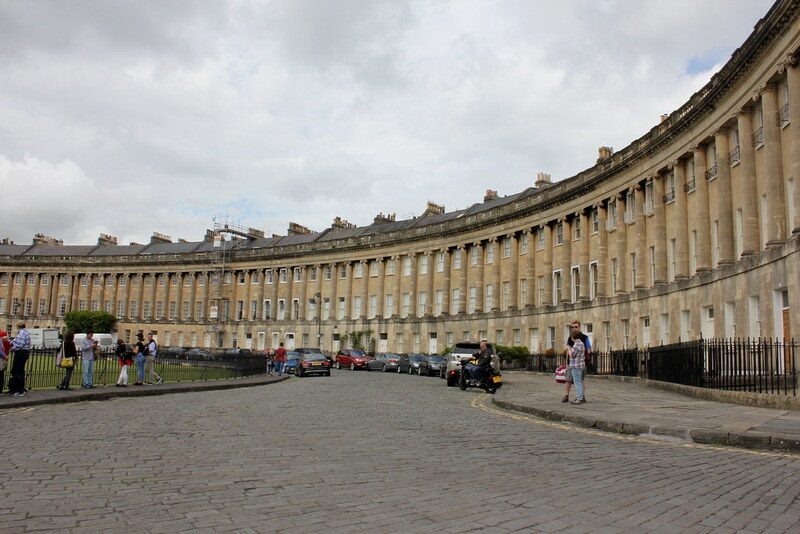 Not exaaactly London, but at only 2 hours away Bath is a must see. Our vacation actually started just outside of London in the quaint town of Bristol, visiting friends and attending a wedding. 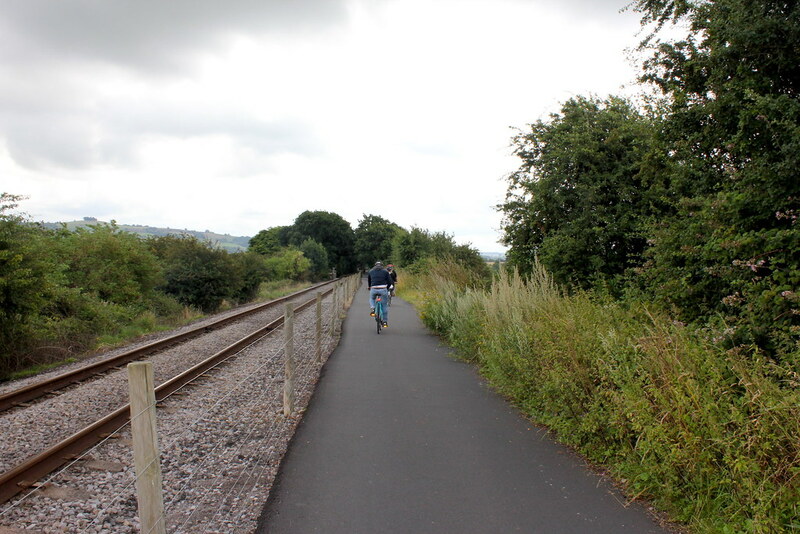 Only 18kms from Bath, we jumped at the opportunity to rent bicycles and cycle through the beautiful farmlands on the cycle path that lead all the way to the historical town of Bath. 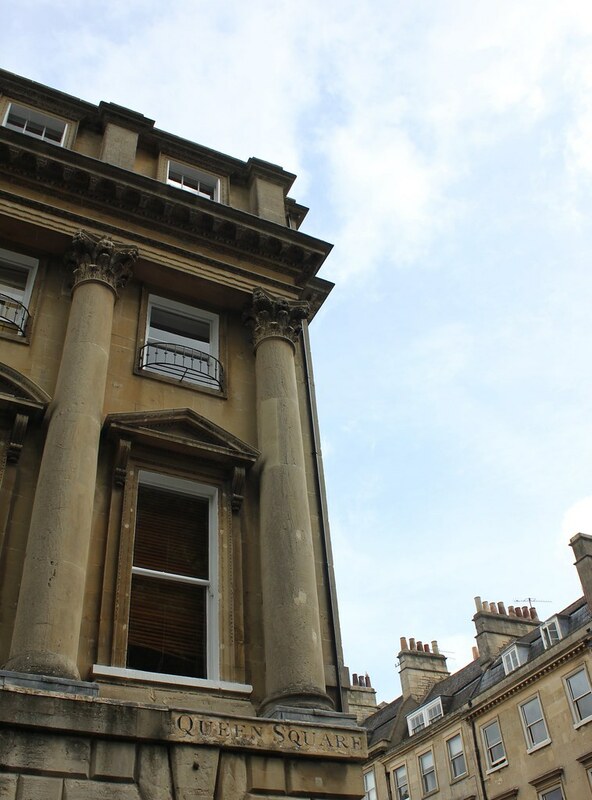 Known for it’s Romans Baths and soap stone buildings ,Bath is truly a sight to behold. 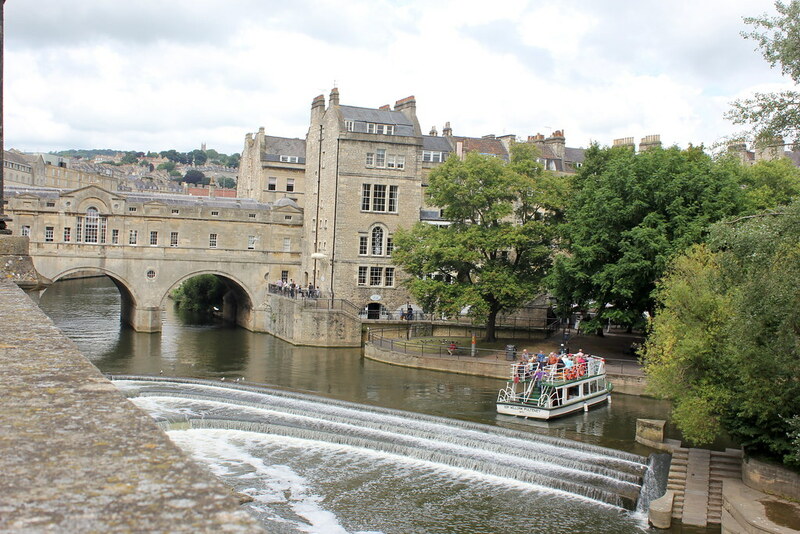 A train trip from London’s Paddington Station to Bath is +-2hrs long and will cost you around £32. A day trip definitely worth your time. 2. 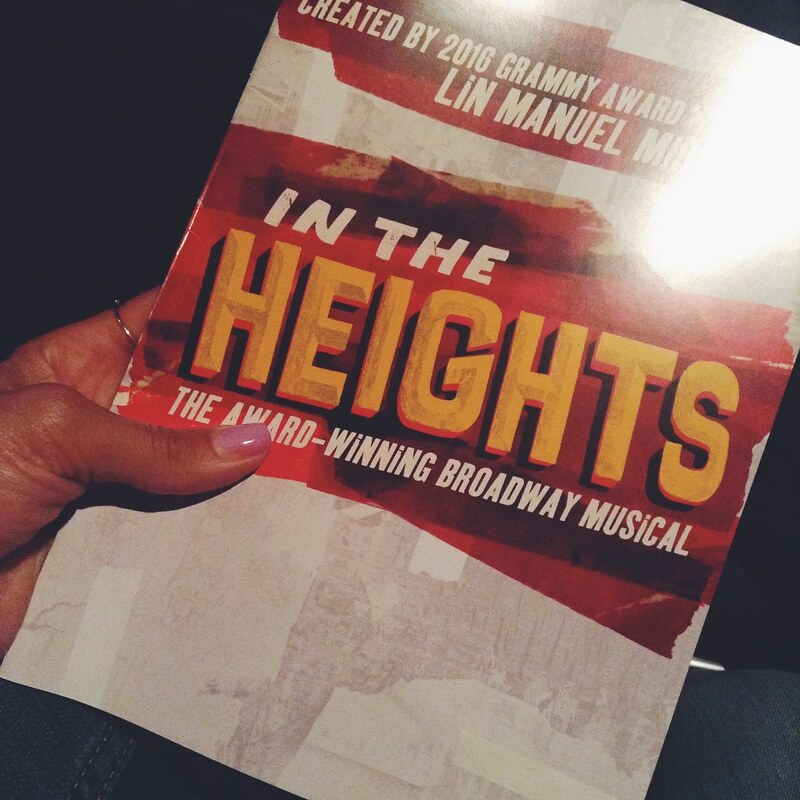 A night out on the West End. When in London, you cannot leave without visiting the West End and watching one of the incredible theatrical displays. 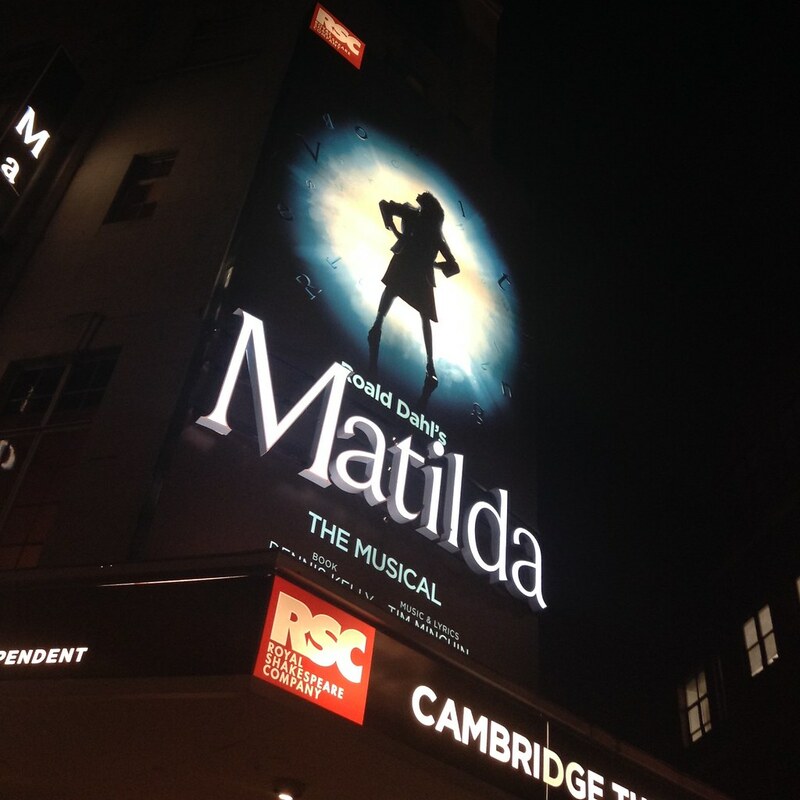 Our show of choice was the famous musical production, Matilda. And what a show it was- with child stars who could put many an adult performer to shame. In peak season be sure to book in advance to avoid disappointment as shows sell out fast. If you are not partial to any particular show or looking for the cheapest seats, you can try booking last minute to get a discounted price on well positioned seats. You can also book online using the Today TIX website or APP which we found to be reasonably priced. Now, no show is complete without dinner and dessert. Just around the corner from the Cambridge Theatre we stumbled upon this quaint Italian Resturant, La Porchetta Pollo Bar. With the sounds of Italian music, a waitress named Alessandra and crispy cheesy pizza, we couldn’t have asked for a more authentic experience. Rated 3.7 stars on Yelp, La Porchetta is a must for pizza lovers. Just down the road you will find the Amorino Ice Cream Shop. 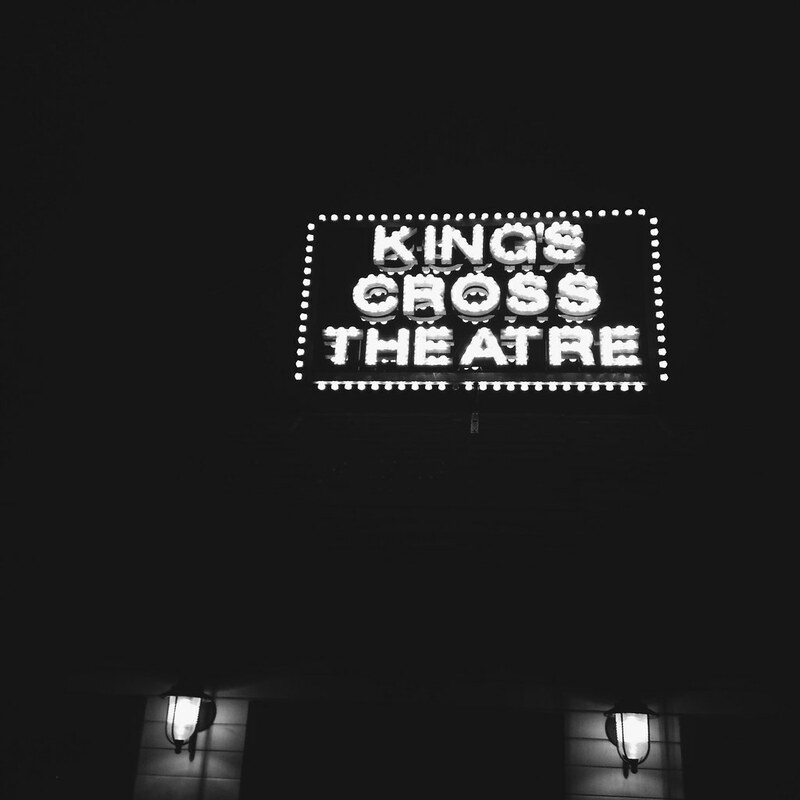 With dozens of flavours to choose from, its the perfect way to end a night out at the theatre. We indulged ourselves in Mango and Pistachio, two of our favourite flavours and it was absolutely delicious! The best part is that the gelato is made using organic ingredients and absolutely no colourants or artificial flavours. While you’re exploring London and its West End, the last thing you want to worry about is your luggage. 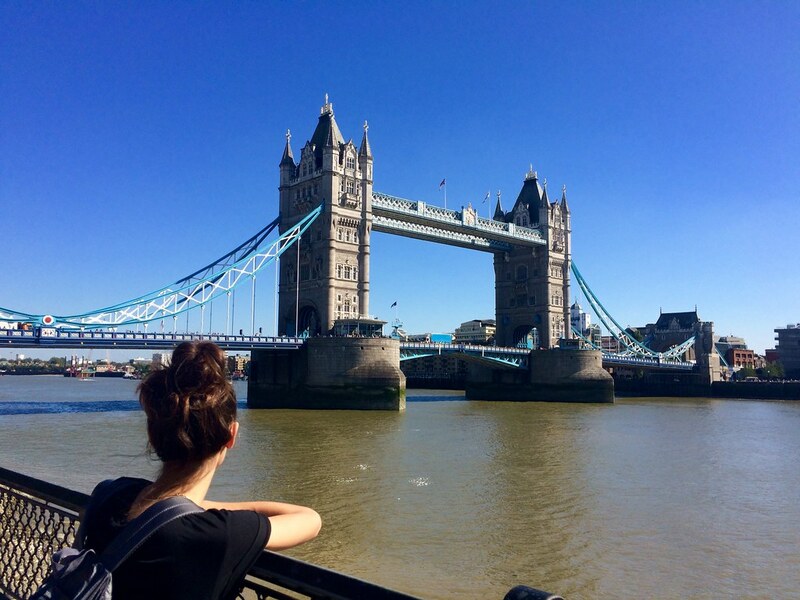 This is where Stasher comes in handy: with Stasher you can find the most convenient luggage storage location while you explore all your favourite sites in London. 3. The Big Bus Tours. 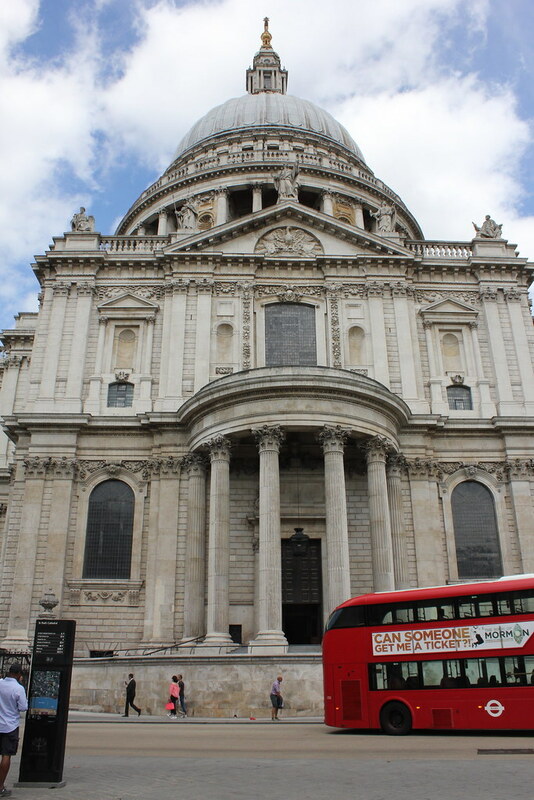 The Hop on Hop off style buses are a great way of getting around the city of London. 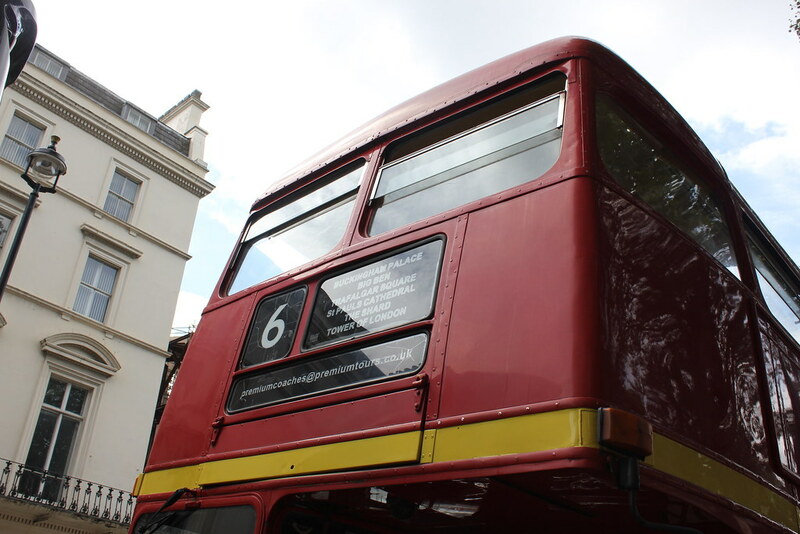 We highly recommend using these on one of your first days in London, as the experience helps you orientate yourself and get a lay of the land with regards to all the major attractions. 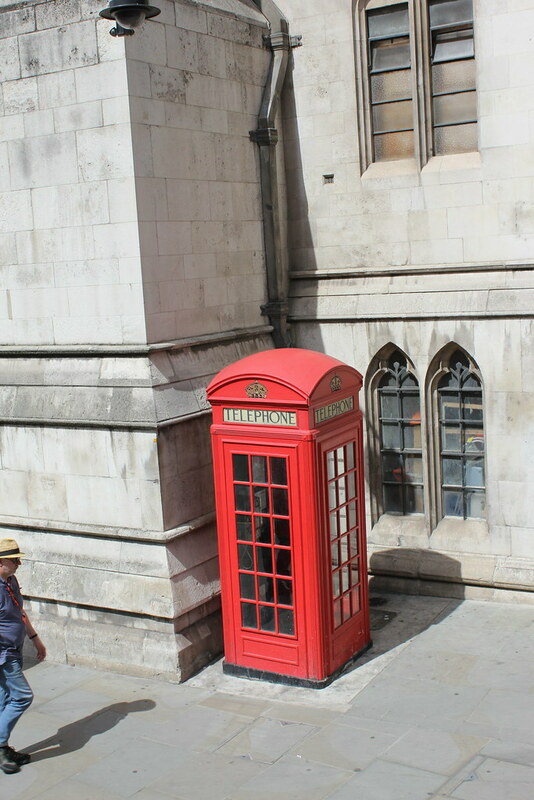 While on board you can hear loads of historical information and fascinating facts about the city, provided by an automated audio service or on some buses, if you are lucky,a very enthusiastic tour guide. 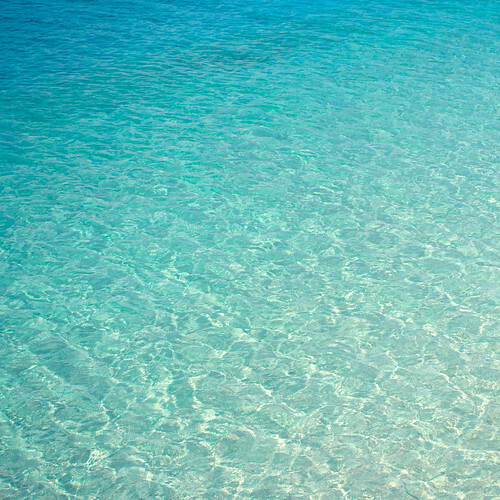 There are several companies offering this service, of which, we chose The Original Sightseeing Tours. You can safely buy a ticket from one of the street representatives loaded at most hop on hop off stops and major areas such as Piccadilly Circus. They offer one, two and three day tickets and it is worth while bargaining for a discount or inclusion of a free ferry trip along the Thames. 4. 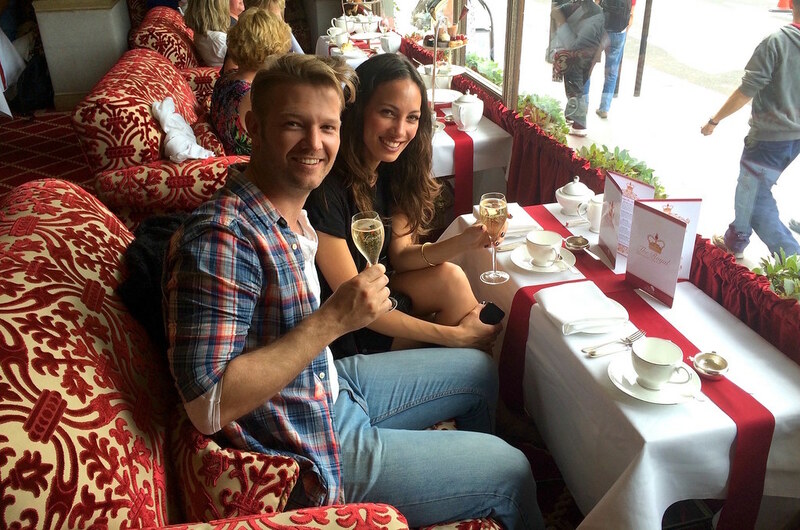 High Tea at Rubens at the Palace. 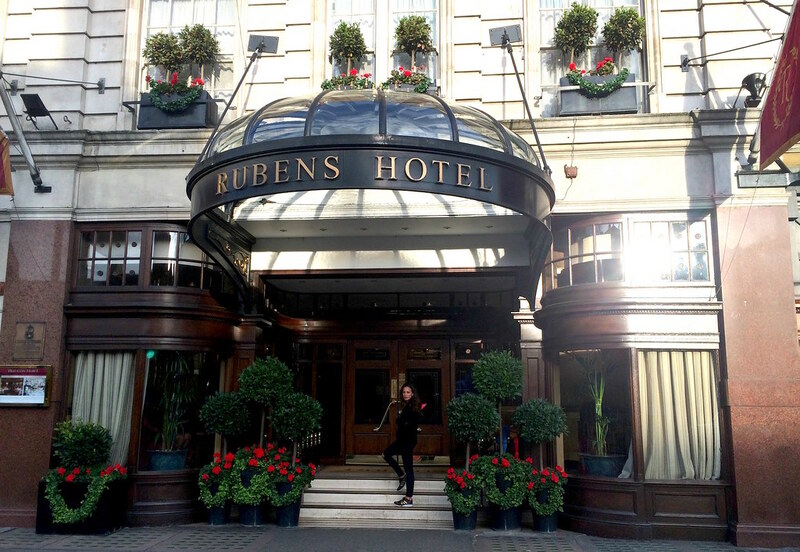 The afternoon tea at The Rubens at the Palace Hotel is not to be missed. 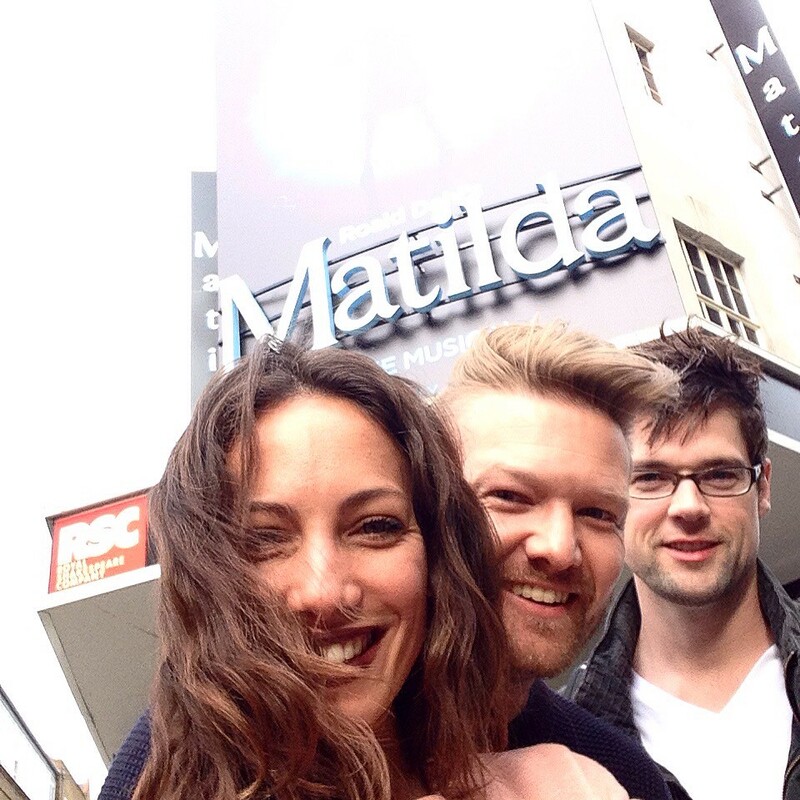 It was a personal London highlight of ours. We were lucky to be seated at a table facing the entrance to the Royal Mews, hoping we would catch a glimpse of a royal family member or two. 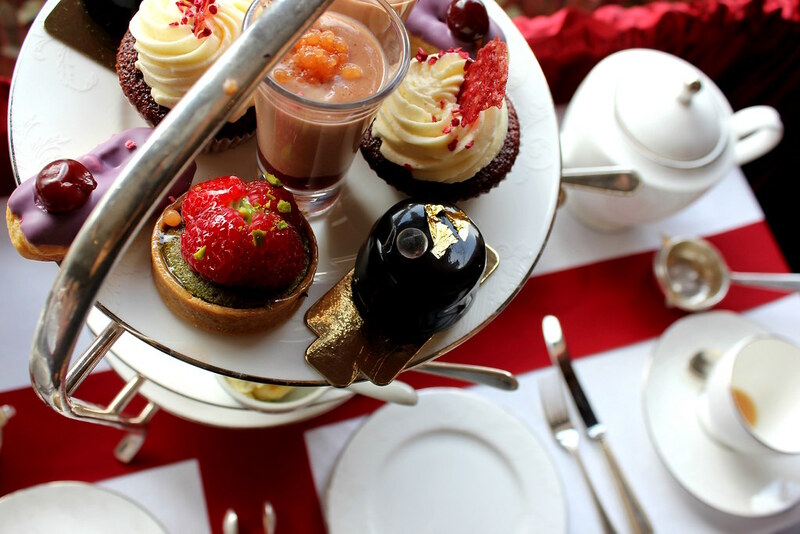 We were served the finest champagne, Rubens signature smokey tea and a selection of sandwiches, scones with clotted cream, Jam Pennies and tarts each with a royal story of their own (literally). 5. A sunny afternoon in Hyde Park. Hyde Park is a great escape from the hustle and Bustle of London. 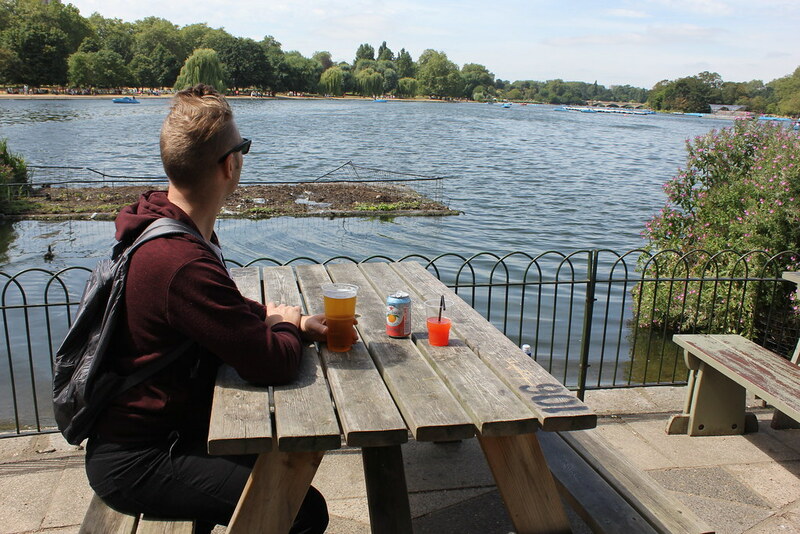 Enjoy a beautiful walk through the gardens to reconnect you with nature or enjoy a beer and bite to eat at the restaurant on the edge of the Serpentine lake. 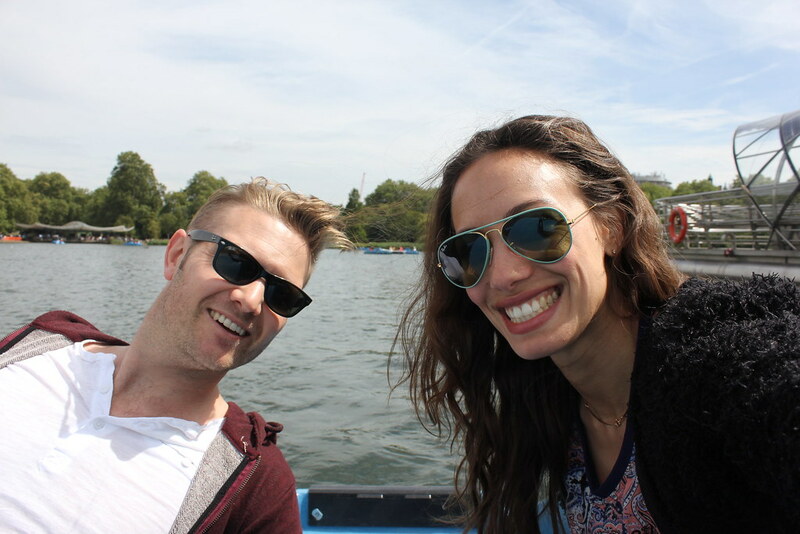 For those of you who are more adventurous, why not try out the paddle boats. In Hindsight this was actually a rather expensive activity, but it was such a beautiful day. The sun was out and the weather was warm and it was just so peaceful being away from the buzziness of the city. 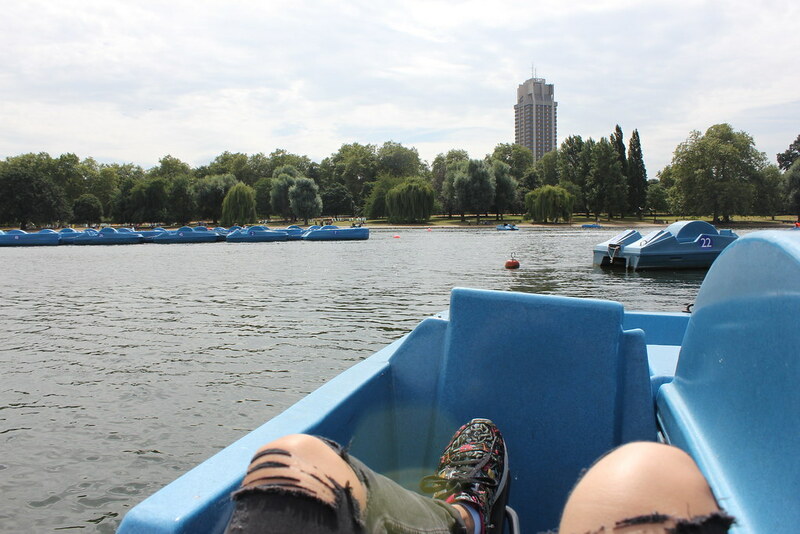 The paddle boats will cost you around £12 per person. 6. 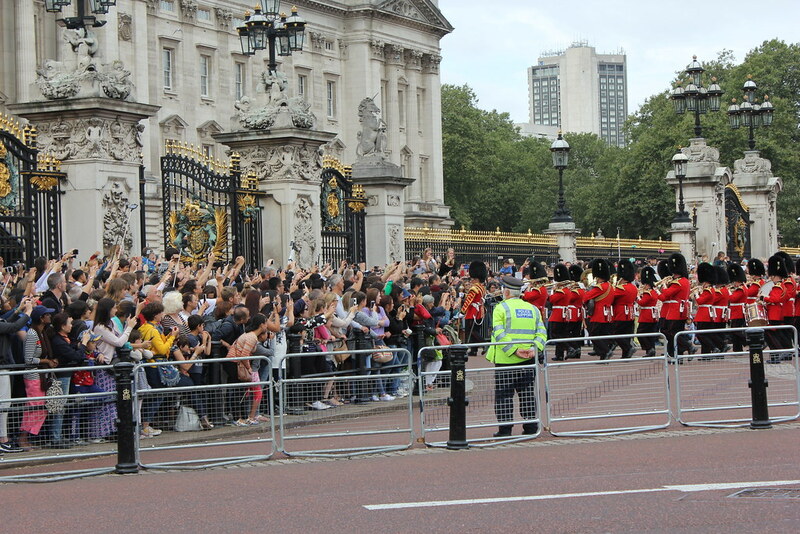 Buckingham Palace and the Changing of the Guards. 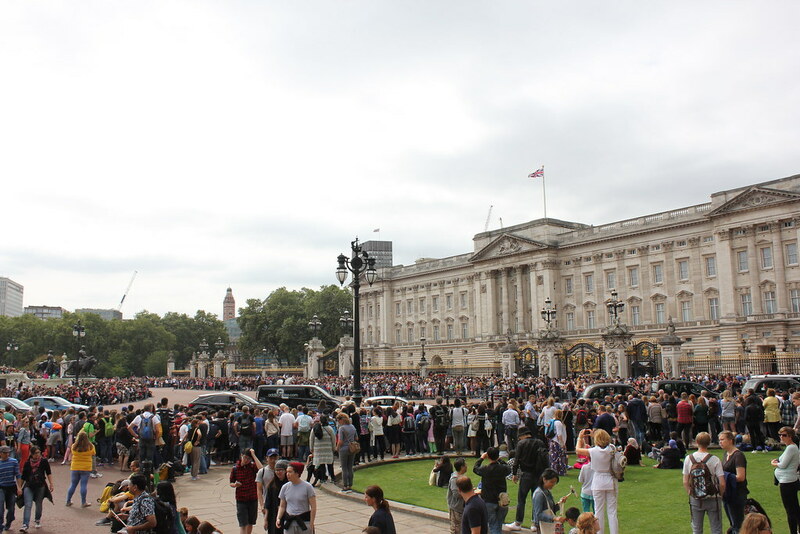 Just a little walk from our hotel found us outside the gates of Buckingham palace on rather a chaotic day- the ever popular changing of the guards ceremony which takes place every second day of the week during the summer holidays was in session and Buckingham Palace was surrounded by masses of tourists who are drawn to see this famous ceremony. The key is to arrive early, to avoid being trapped behind a sea of bobbing heads, with arms raised high and cellphones in hand disrupting your vision. If you can, grab a seat on a wall and ignore the “Bobby” who will inevitably ask you to get down, as he will eventually tire of nagging the ever growing crowd. Unfortunately we, being good citizens, listened and lost out on a great view “#fail”. But no matter, as the ceremony is beautiful from any vantage point. I stood on the palace gates! If you are like us and enjoy putting your walking shoes on and just getting lost, do it! 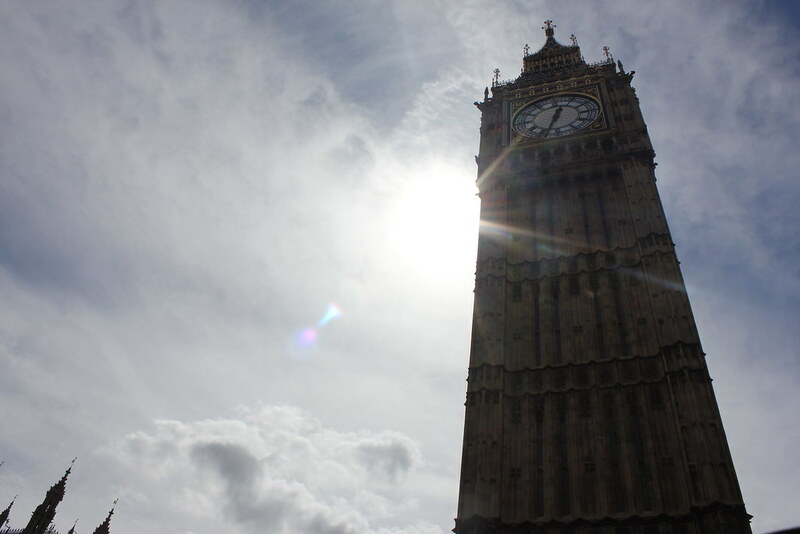 Walking the city forces you to slow down and gets you up close and personal with the city’s iconic landmarks like Big Ben and Westminster Abbey, they are absolutely exquisite to behold, even if you’re just walking by. 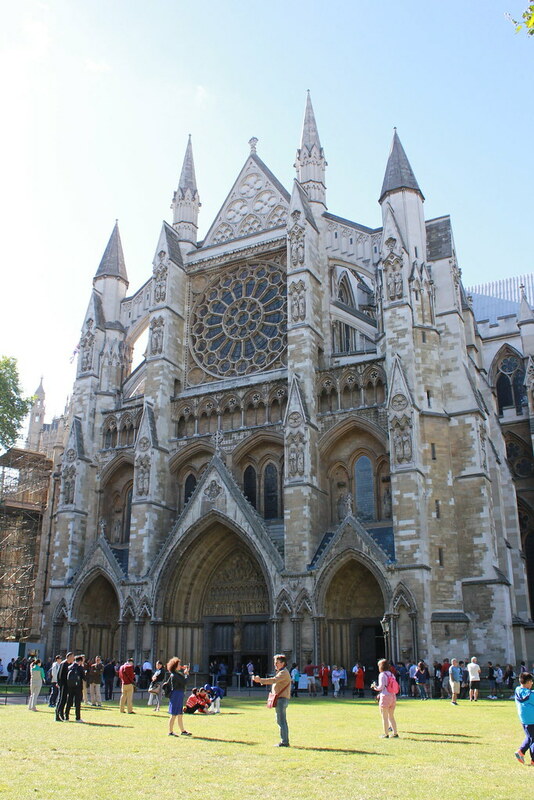 Side note; if visiting the Abbey is on your bucket list, best be early and prepared to wait, the Abbey is incredibly popular and the queues are never ending. 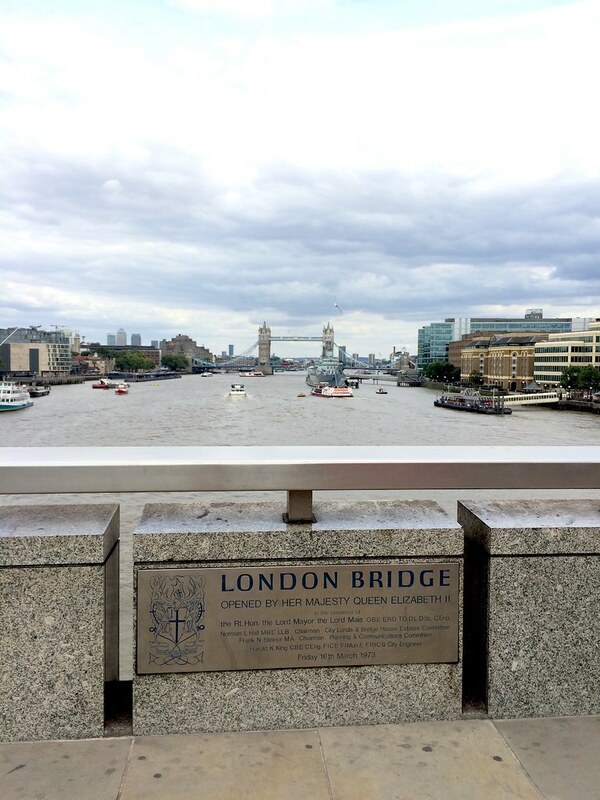 London is known for many of its famous bridges such as the Tower Bridge, Westminster Bridge, the Millennium Bridge and the lead character of a famous children’s nursery rhyme, the London Bridge. One of our favourite adventures was seeing how many of these bridges we could cross and what we could discover on the other side. 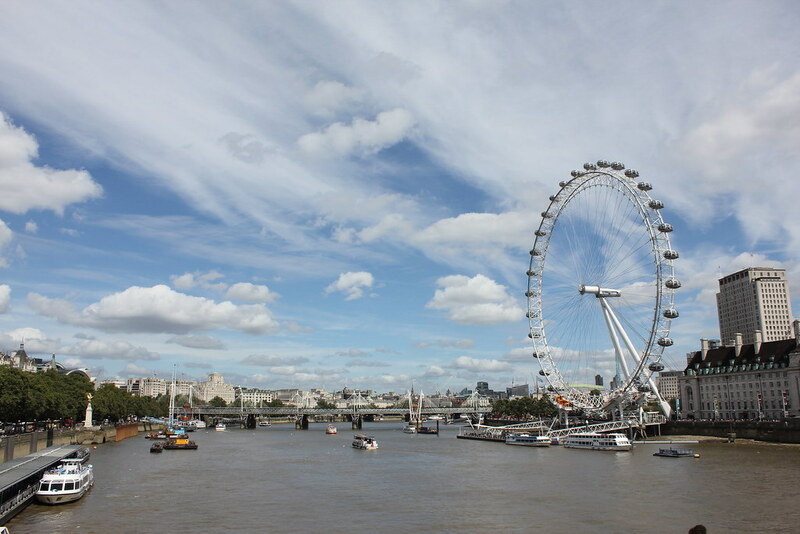 The Westminster Bridge leads you to Europe’s largest ferris wheel, the London Eye, where tickets are priced from £27 to get a 360° view of london from 135m above the Thames. At the end of the Millennium Bridge on the south side of the Thames you will find the Tate Modern Contemporary Art Gallery and a beautiful recreation of Shakespeare’s Globe Theatre. 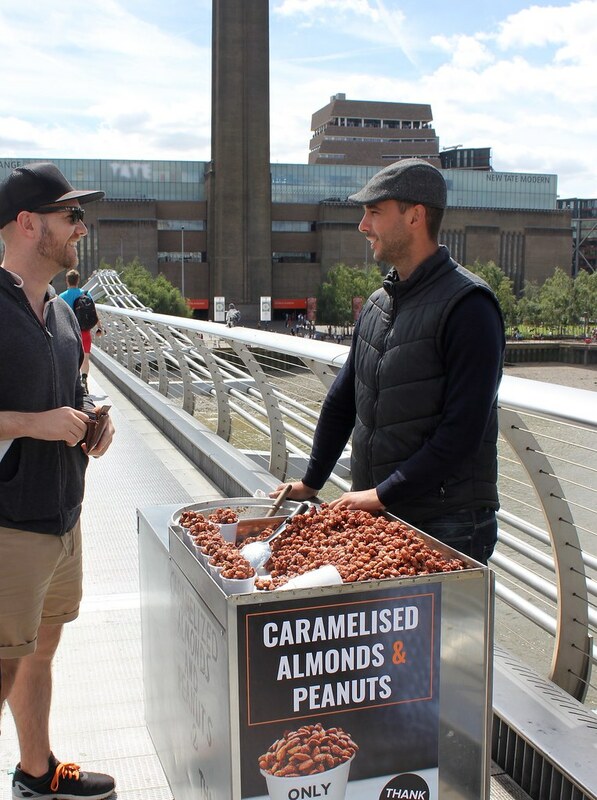 Crossing to the north side of the Tower Bridge will lead you straight to the Tower of London, home of the Crown Jewels, while crossing the Famous London Bridge will lead you to, well nowhere really, but you have to try the delicious caramelised nuts. 8. When in doubt, Eat, Drink (warm Beer or coffee ) and be Merry. 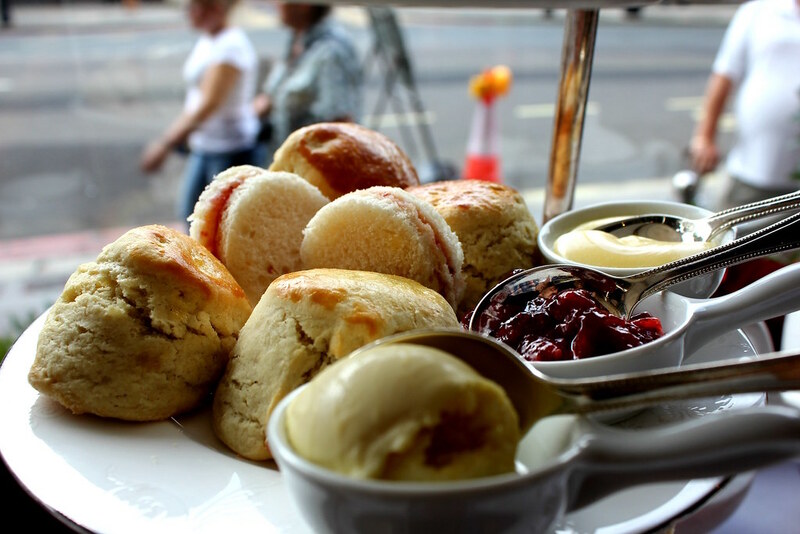 Whenever we travel we simply cannot get enough of good food, strong coffee and warm beer! 9. The Attendant- a public convenience. 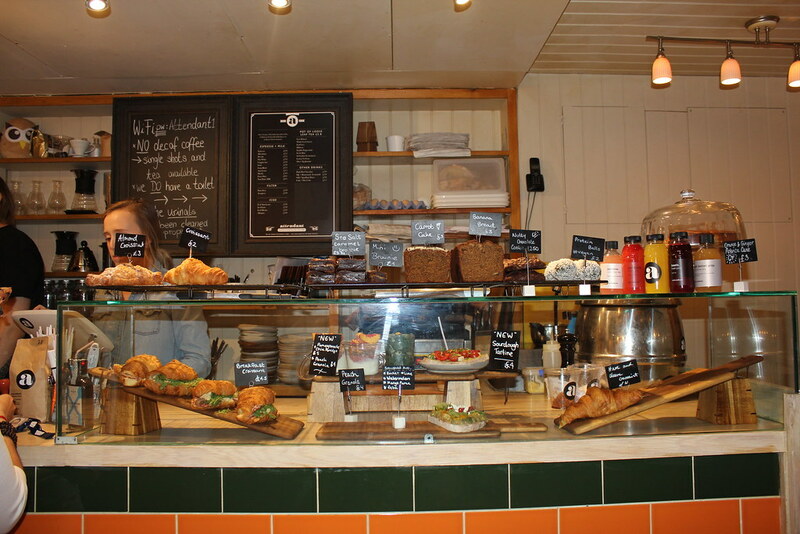 The attendant is a quirky coffee bar with a truly unique experience. 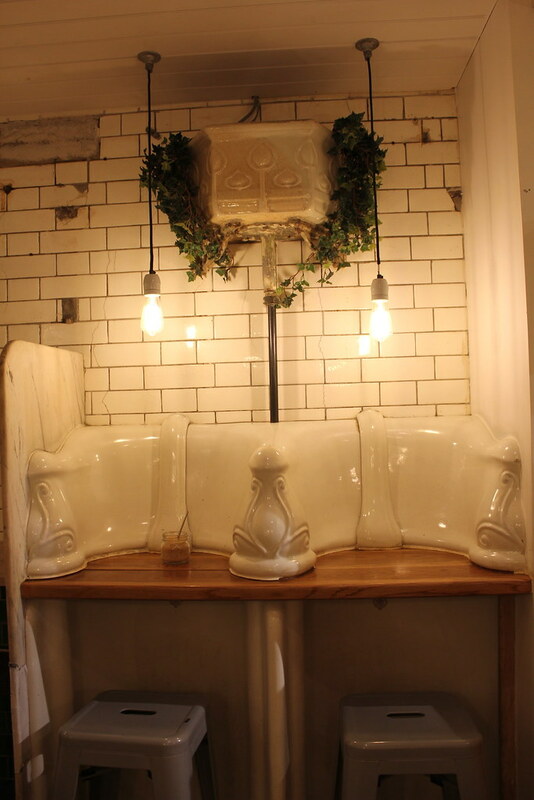 It is located just below street level in a restored Victorian public convenience, or rather, an old underground lavatory for those of us born in this modern day and age. 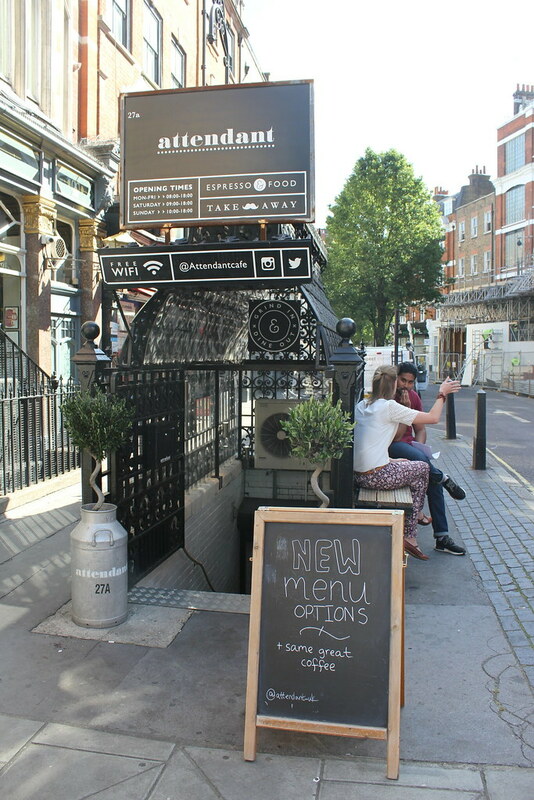 You can find The Attendant in the Fitzrovia area, on the corner of Great Titchfield and Langham Street, serving breakfast and a light lunch. Why not enjoy a morning cup of the finest coffee, reading your local paper while seated at a uniquely renovated urinal. A real mans dream! 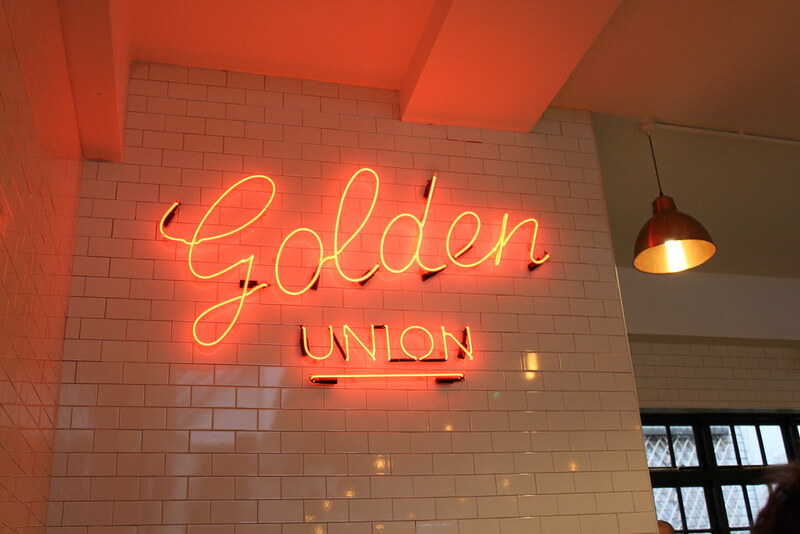 For the best fish and chips (and scampi) in London Town, Golden Union has to be it! 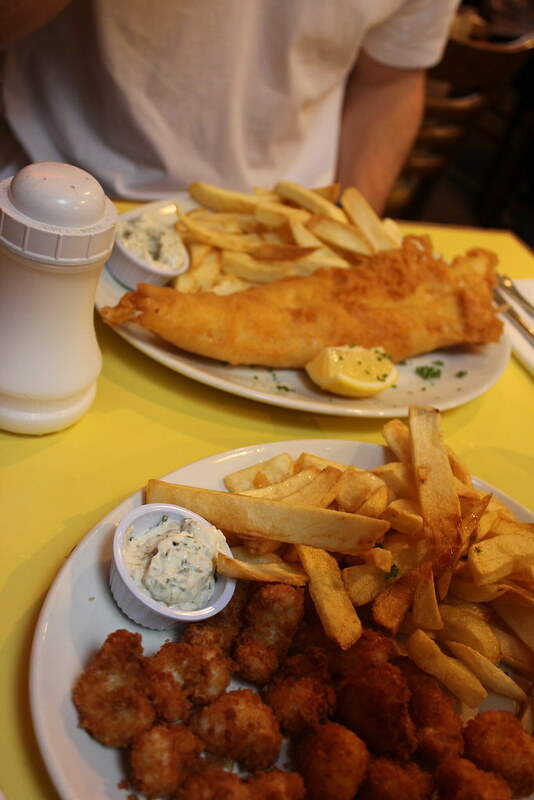 Everyone says “you’ve got to have fish and chips” when in London, which wasn’t exactly a top priority on our “to eat” list for two South Africans, as we have pretty amazing fish and chips in Cape Town. But, one fine day when we had exhausted all our options, we decided to mission to find the best fish and chips in town and man was it fresh and amazing. We loved the Modern take on the “vintage diner” styled restaurant which featured a jukebox playing old school tunes and bright neon lights. We tried the cod which was deliciously soft in a crispy batter accompanied by wedge styled chips, a mild tartar and a slice of lemon. Then came the scampi, heavenly bite size pieces of shrimp deep fried in breadcrumbs, that were out of this world. 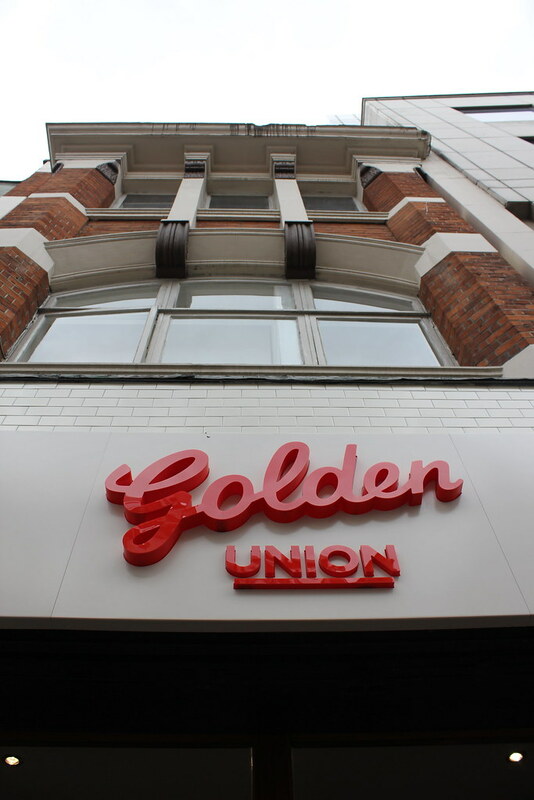 When looking for fish and chips in London, the golden union is a must. It was our last night of adventure with our american friends and we were on the mission for a late night burger, Yelp to the rescue and we found ourselves at Honest burgers. 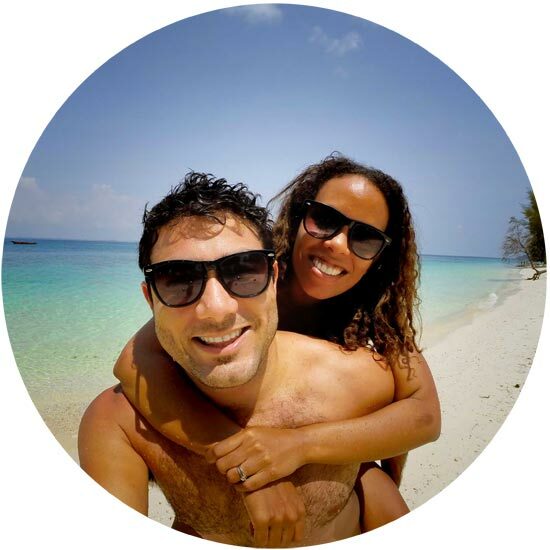 We loved the fact that the restaurant was open till 11pm and the sparkling water, which we could share between all of us, was bottomless for only 1 pound! The burgers were out of this world and so were the names, from the Dalston Chilli to the Chimichurri, the Oktoberfest to the Karma Cola. 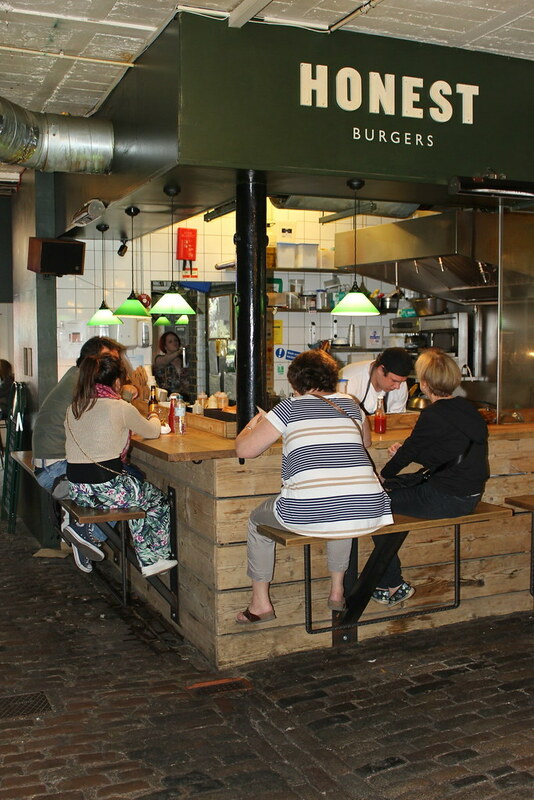 For some late night fun with a couple of friends, Honest Burgers offers the perfect feast. 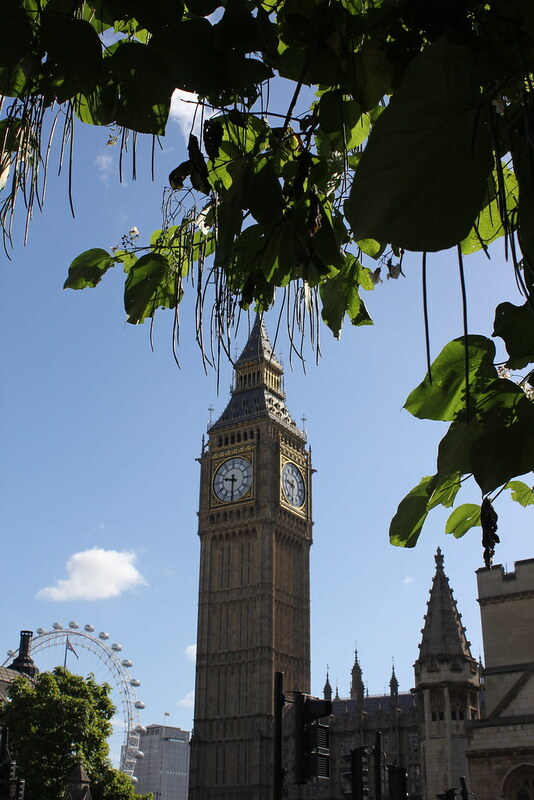 What did YOU love about London?